Carry an updated schedule with you, anywhere you go, using Events. Keep your day on track. 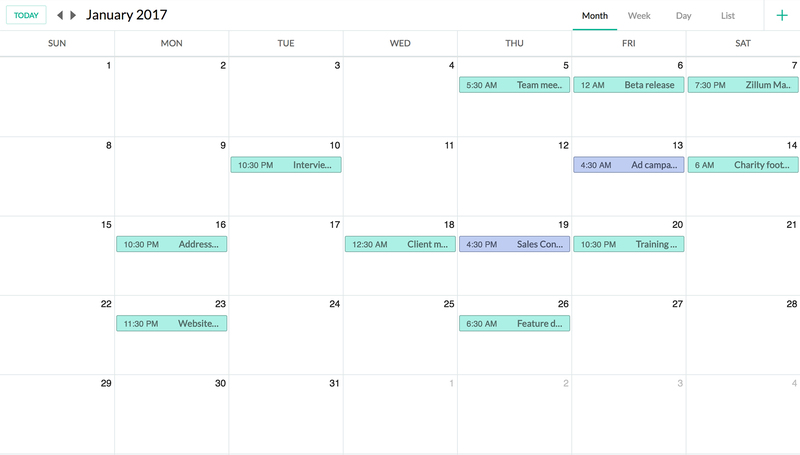 Use the calendar view to get your daily, weekly, or monthly commitments. Switch between your company and group calendars to see where you need to be and what you need to do. Create events that bring people together. From team meetings to the office ping-pong tournament, use Events to invite your team members, track RSVPs, and trigger reminders. Keep your calendars in sync. 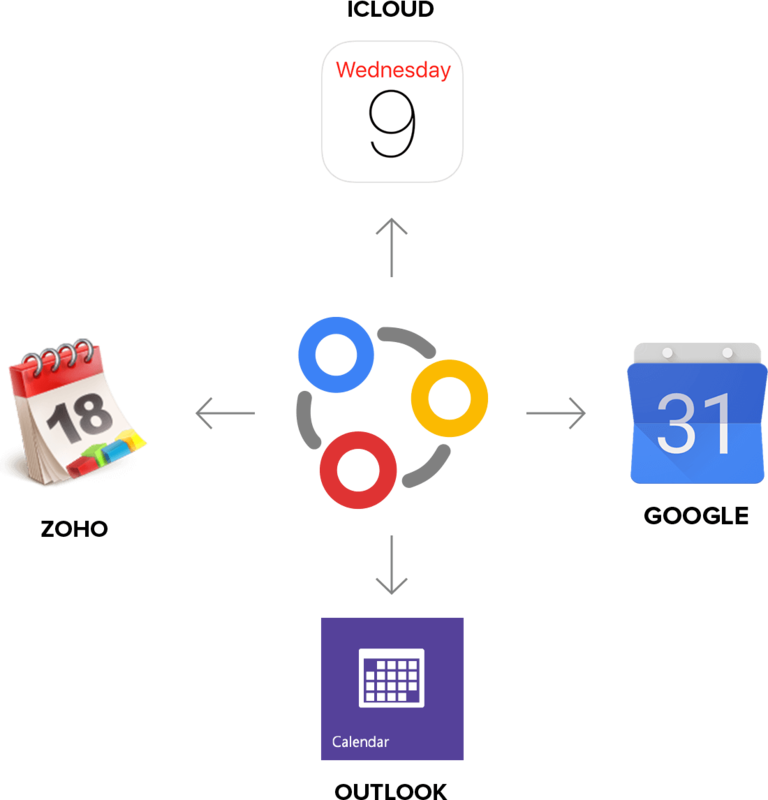 Use our integrations to add your Zoho Calendar events to Google, Zoho, Outlook, iCloud, or any other calendar. 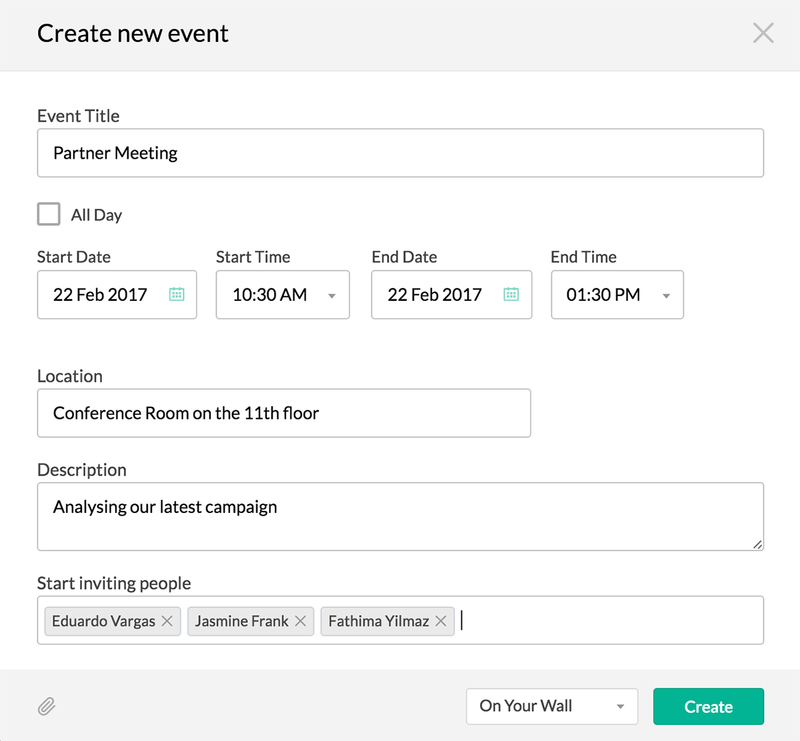 Create events and have a calendar for your team.